Quality hot water is on tap 24/7, meaning that hot drinks like tea, coffee, and hot chocolate can now be made in seconds — with plenty of hot water to go around, and no need to wait for a kettle to boil. 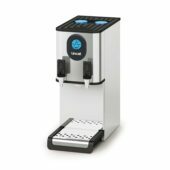 Our automatic fill water boilers come with additional functionality, such as water filtration and a predictive eco setting — which learns usage patterns and uses this to adjust water volume preparation accordingly. 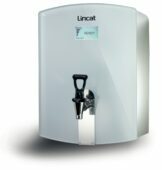 High quality boiling water on tap 24/7, with built in water filtration and eco settings. A constant flow of boiling water, whenever you need it. Tea time just got easier. High quality boiling water on tap 24/7 with a convenient wall mounted bracket.